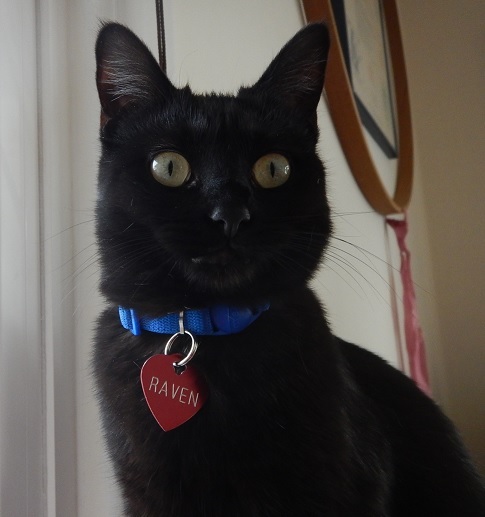 How is Raven like a writing desk? I never understood this particular riddle. Thanks for all of your suggestions on the post below on teaching the sixties–keep them coming! ← Teaching the sixties: what do you think? I don’t know. I do know this is a way-cool cat, though. My regards and compliments to its owner/keeper/curator!! My comment is the same as Indyanna’s. As the keeper and/or bodyservant of two black cats, I salute this one.